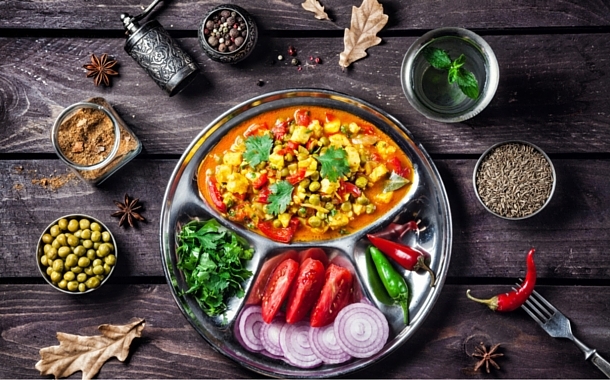 Pregnant with spices of all kinds, capable of caressing all your senses, promising to surprise you with completely distinct flavours, such is the glorification affixed to Indian food. 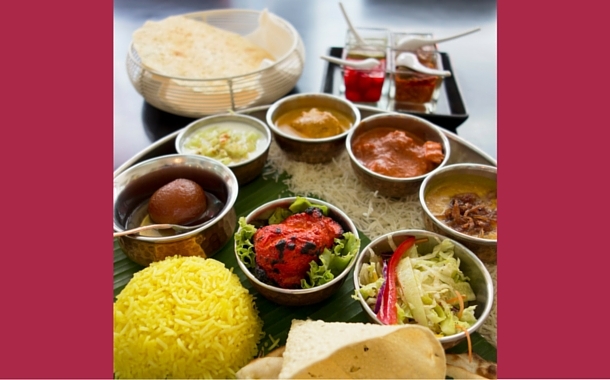 Thalis are basically a creative scheme to bring together the variety of food items in one platter. As you move from one region to the other, you’ll be welcomed with a new platter, with new food items on it. 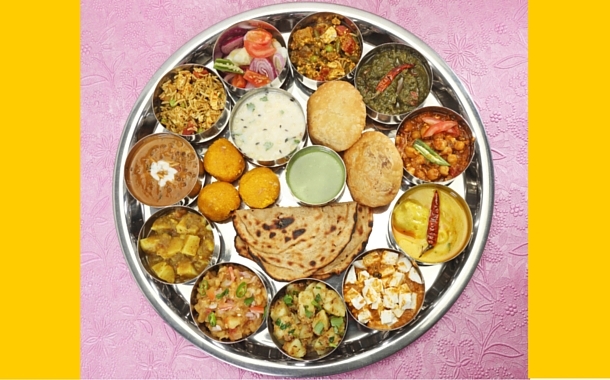 No particular thali in India can beat each other with regards to rank in the order of taste appeal. Each has its special powers to make you want for more. This indicates that wherever you choose to land in India, a thali awaits you. So let’s begin with our Thali hunt, shall we? “Padharo Maro Des”, speaks of the warm Rajasthani hospitality. Rajasthani thalis personify the true dining experience. It revamps the whole traditional atmosphere by adding a tinge of royalty to it. They have rotis, pooris, kachauris, and parathas made of wheat flour. But their highlights are the rotis made of Bajra, Makka, and Jowar. They make use of Besan extensively. Daal baati churma is a speciality here. Gatte ki sabzi is another famous personality on the Rajasthani thali. 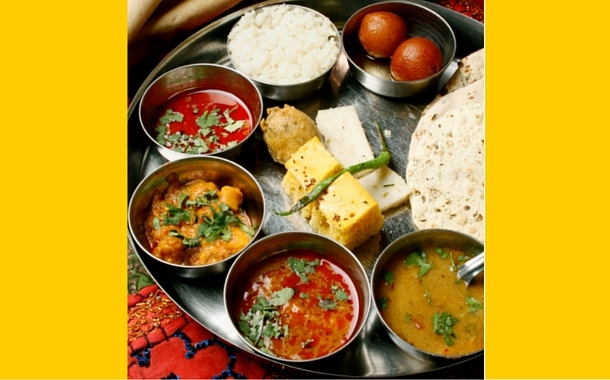 Book your Rajasthan tour package and be on your way to a gastronomic adventure. Bengali Thali is a perfect blend of sweet and spicy flavours. The world knows them for their love of fish. But that’s not just it, there is more to it. Bengali rice pudding called as Payesh, is consumed on special occasions, making it an important part of the Bengali thali. The other members on the Bengali Thali are, Shukto, 5 types of fries- Aloo bhaja, Potol bhaja, Kumro bhaja, Begun bhaja, Uuche bhaja, and torkari, Daal, chutney, and the very famous Fish. They are masters when it comes to preparing the ultimate melt-in-the-mouth sweet. Rosogolla, Mishti Doi, Kalo Jaam, Bengali Rabri, Gujias, Jibe Goja, Jolbhora Shondesh, the list goes on. If you have a sweet tooth, Bengal will not disappoint you. Gujarati thali is mostly vegetarian. 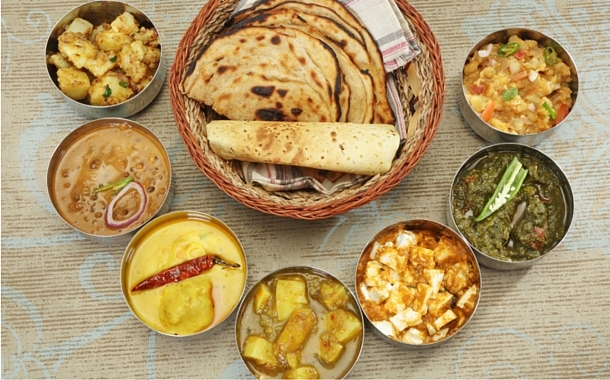 Meals are served on a thali, a metal tray on which roti, rice, and small bowls are placed. A different kind of sweet flavour is prevalent in almost all the food items. Gujarati meal usually consists of rice, bread, rotli, and vegetable curry called 'Shaak'. They also have a variety of snack items like,thepla, maal purah, puri, bhakhri, and puran-pohli, hari and khakhra, dal-dhokli, chevdoh, dhokla, undhiyu, khaman, bhusu, fafda, dhokli, papdi, and sev mamra. A Gujarati thali shall treat your palate to many a flavours in an instant. Maharashtrians are known for their extremely spicy with different masalas - so watch for what you ask. Chicken, and fish are the common non-veg items you’ll find here. They have a great variety in Pickles. The thali will have a little amount of rice in one corner with daal in a bowl, and chappati on the other corner. You can pick what comes to your plate. There are a variety of bhajis like, batatyachi bhaji, vaangyache bharit, aamati, matkichi bhaji, and many more. Then you have sabudaana vada, a refreshing glass of mattha, kanda poha, danyachi usal and the awesome pav bhaji, which are irresistible. Not forgetting the varan bhaath which is the king of the thali. With sweets like aamras and sheera, the thali is certinaly not lacking when it comes to desserts. Pooran poli is another famous sweet dish that you will find. Who knew that Goan Thali could be as awesome as Goa's beaches? It’s a complete Indian meal at your fingertips. Goan food is synonymous with sea food, rice, coconut, fish and yes, kokum! You have Goan rice bhakri, Goan daali thoy, kele ambat, vegetable vindaloo, Goan kokum curry, and Goan banana halwa to top it up! Goan cuisine is also characterized by having some of the hottest curries, like Vindaloo. Due to its coastal location, seafood is also quite prevalent. Goa is a complete package, ain’t it? Indians are known for elaborate meals, and the Kerala thali exemplifies it best. Kerala’s food is generally hot and spicy. 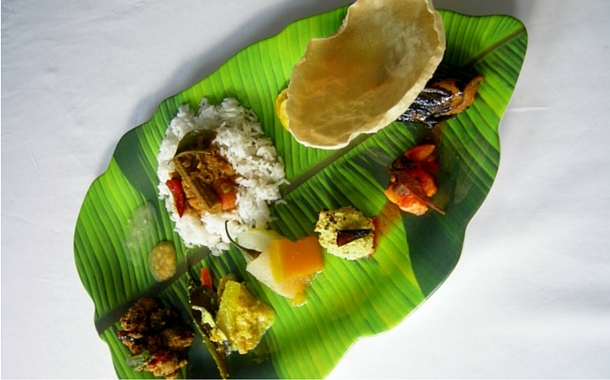 The food is traditionally eaten by hands, and served in banana leaves. Abundant use of coconut oil, mustard seeds, curry leaves and coconut milk are used in their daily cooking. There is no 'rule' to this thali and it contains liberal helpings of rice, sambhar, kootu (vegetable curry cooked with lentils), kosumri, paapadam, curd, and for dessert, there's paayasam (a sweet made with rice and lentils) to complete the meal. 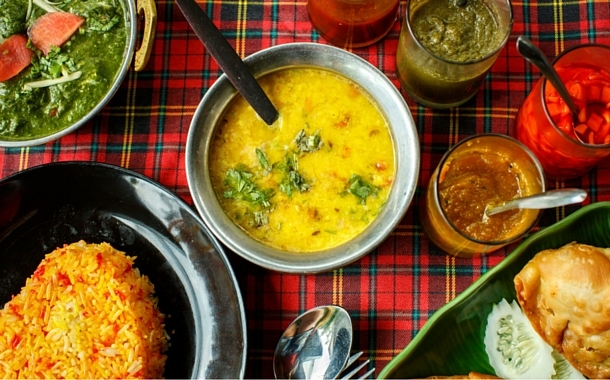 So wait no more, get your Kerala tour package and set off to taste these delicacies.